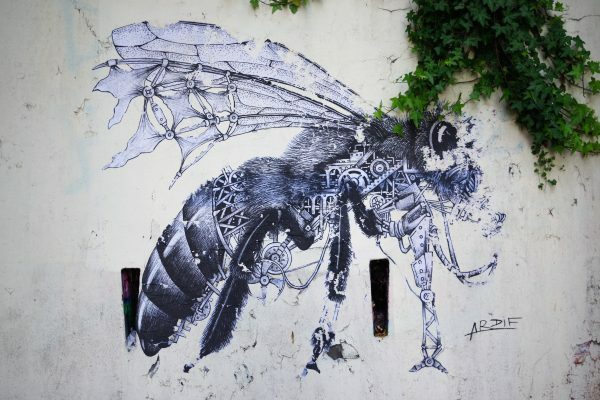 French artist Ardif expanded his zoo once more ; his latest Mechanimal is a bee. The past up depicts a bee in profile, fractions of it’s limbs and body torn open and replaced with intricate mechanical and architectual parts, typical for Ardifs Mechanical series. The brittle wall he he choose to use makes the machanical parts look as of they are desintegrating; combined with the torn up parts of the actual body, the bee appears to be „broken“ and in the verge of dissapearing. The piece ist fittingly called „save the bees“. 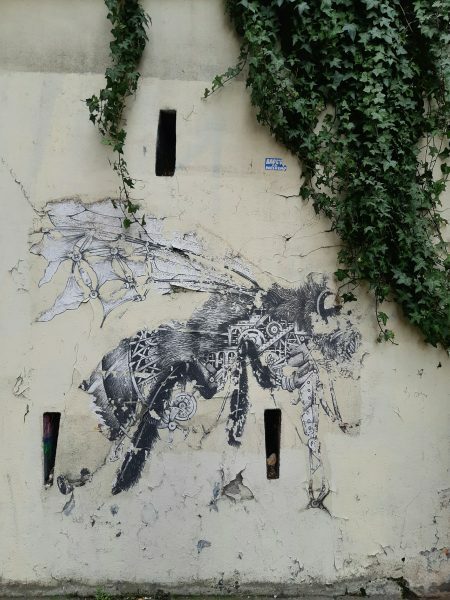 Veröffentlicht in Murals, street art, urban artGetaggt mit animals, Ardif, Bee, Mechanimal, Mural, paste up, Steampunk, streetartBookmark the permalink.